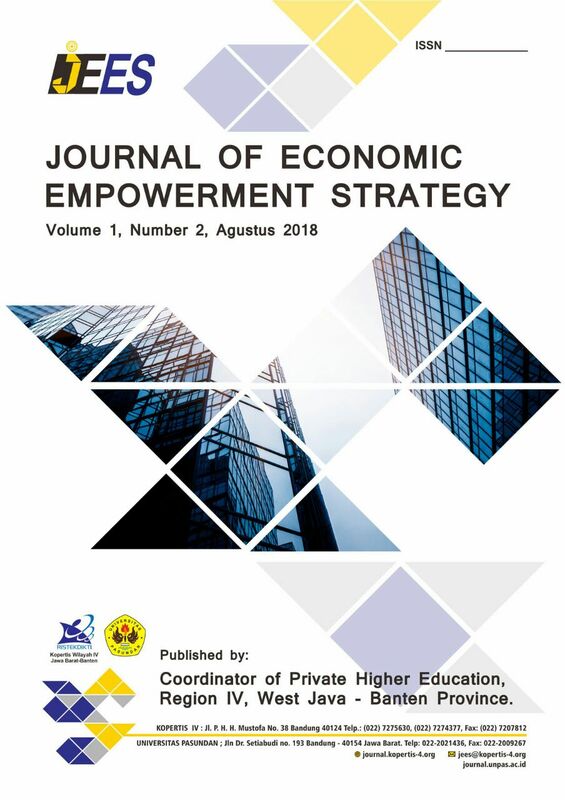 Journal of Economic Empowerment Strategy (JEES) was established in 2018 as e-journal publication focused on research findings of economic empowerment strategy, it is a refereed journal, double-blind peer-reviewed, scientific journal, collaborated and published by Coordinator of Private Higher Education Region IV, West Java-Indonesia and Universitas Pasundan (UNPAS), Bandung City, West Java, Indonesia. This journal published in English and in two issues per year (February and August). This journal adopt a vision to disseminate and enlight all aspect of economic empowerment strategy around the world. 1. 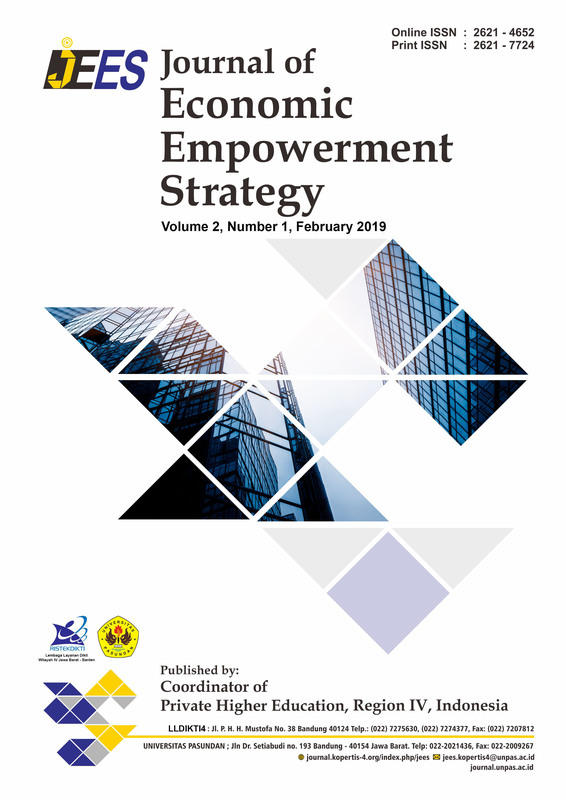 To generate knowledge on the economic empowerment strategy based on various research finding. 2. To do a research dissemination and collaboration among parties who intends in research on economic empowerment strategy. Vice Editor In Chief : Dr. Nia Nurdiani M.Si. Encoders/Layout Artists : Purmaningrum, S.T., S.Sn. Prof. Dr. Ir. H. Eddy Jusuf Sp., M.Si., M.Kom. Prof. Dr. Sidik Priadana, M.Si. Prof. Dr. Azhar Affandi, M.Sc. Dr. Jaja Suteja, S.E., M.Si. Dr. Erni Rusyani, S.E., M.M.